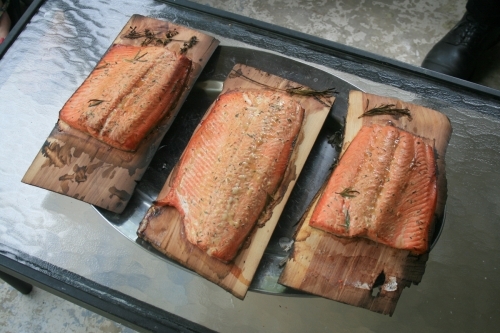 Rinse salmon fillets; pat dry with paper towel. Rub half of the garlic clove over fish; discard. 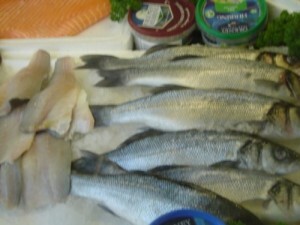 Sprinkle salt and pepper evenly over fillets. Cover with foil and bake for 20-25 minutes at 350 degrees. Learning how to cook Mahi Mahi is simple and an excellent addition to any cook’s repertoire. One efficient way that saves on time and clean up is the foil method. Preheat the oven to 400 degrees. 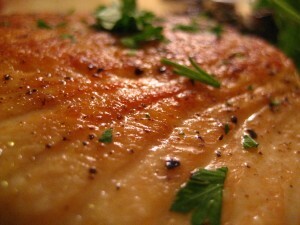 Prepare the Mahi Mahi by brushing oil on four pieces of foil. Using four pieces of Mahi Mahi, place each on a piece of foil. Chop four scallions and sprinkle over the fish. Also, peel and finely chop a glove of garlic to be distributed evenly over each piece. Drizzle a teaspoon of white wine or cider on each. Add a pinch of salt and pepper, a dab of butter, close the foil, forming little pockets, and bake for twenty-five minutes. Asparagus complements Mahi Mahi very well as a side dish. Mahi Mahi is a healthy fish with selenium, vitamins B3 and B6, and omega-3 fatty acids. Cooking tuna does not have to be an intimidating process. Learning how to cook tuna in a simple recipe helps. 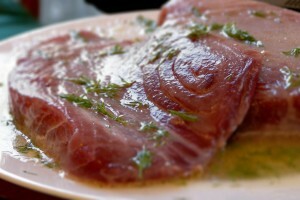 Below is a simple yet delicious tuna recipe for Seared Tuna Steaks. In a medium-sized skillet, heat oil over medium-high until it melts down and coats the pan. Cover both sides of tuna steaks with fresh ground pepper and place in skillet. Cook 5 to 7 minutes on each side. Medium-Rare to Medium is the most desirable way to serve the tuna steak. Cook for a little longer if desired. Serve hot. Tuna is a wonderful fish rich in omega-3 fatty acids, which help to promote good cardiovascular health. Tuna is also a great source of: selenium, magnesium, and potassium and also the B vitamins. It is best served with a healthy salad dish. Have you ever wondered how to cook a lobster? Boiling a Lobster is not that hard. 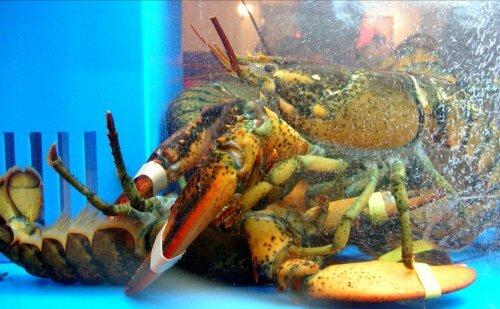 If you can boil water, then you can cook a live lobster. Make sure that you begin with a live lobster. If your lobster is dead it will not cook correctly. Make a flavorful cooking broth with water, thyme, and bay leaves in a big pot. Add lemon juice to the water with the rinds. Bring the pot up to a high boil. Take the rubber bands off the live lobster. Drop the lobster head first in boiling water. Cover,and boil for 15 minutes or until the lobster shells turn bright red and the tails curl. Make lemon butter while the lobster cooks. Heat butter over low heat then squeeze in some lemon juice. There are only six different types of crab known to mankind, Alaskan King, Alaskan Snow, Blue, Dungenous, Red Rock, and the Chinese Mitten Crab. Out of them all the Alaskan King is not only the most popular, but the deadliest to catch (Haha, Get it!). However, they all offer their own uniqueness in flavor, and can be used interchangeably within this recipe. 1. Add water and salt to a large stock pot and bring to a boil. 2. Add crabs, one at a time, to the boiling water. Make sure crabs are covered with water. 3. 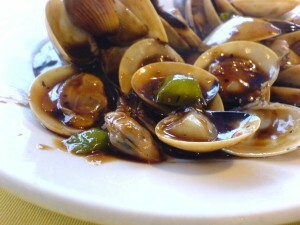 Bring water back to a boil and cook for 20 minutes or until shells turn red. 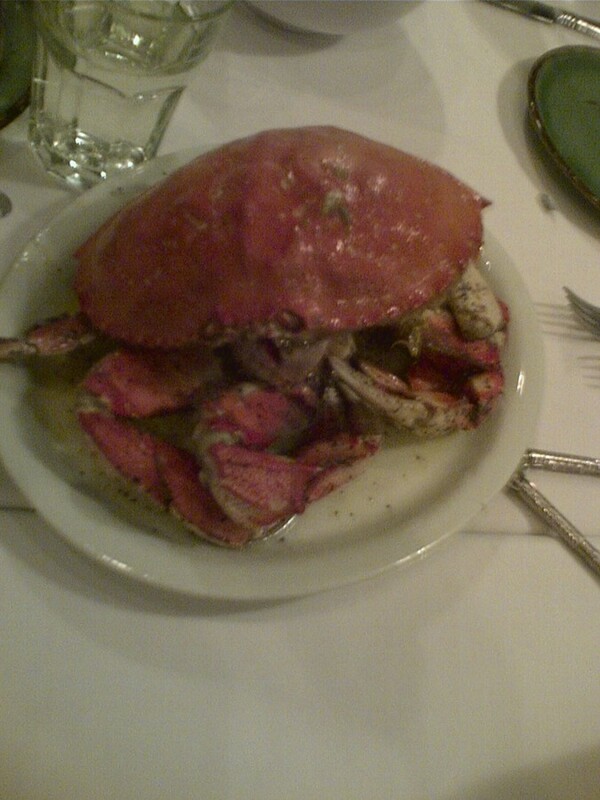 Some wonderful foods pair nicely with boiled crab, mainly steamed greens, artichokes, and corn on the cob. 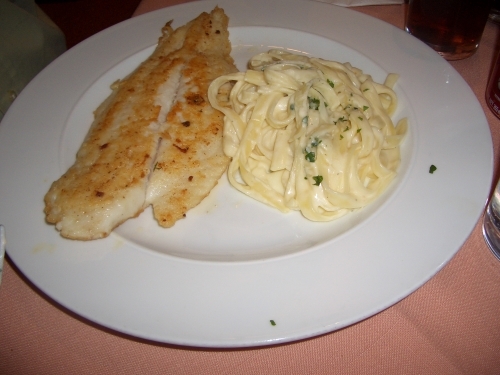 Tilapia is an excellent, almost buttery type of white fish that can be cooked in several ways. 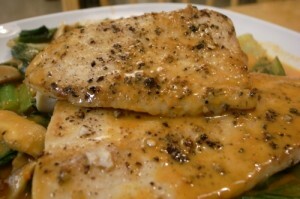 This article will lay out how to cook tilapia fillets in one of the easiest ways. Set your oven to 400 degrees and spray your oven safe pan with the non-stick spray. Clean your fish off with running water, then dry it off with a paper towel and lay it on a plate. 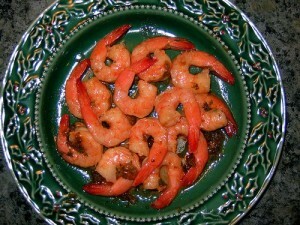 There are many people who enjoy shrimp but are intimidated by the initial phases of cooking it. Some of you have only had it at parties or restaurants, but would like to try it out at home. So, we are here to educate you on how to cook shrimp easily and quickly. It’s rather simple. The first thing you will need to know is that there are a ton of ways to prepare shrimp. However, no matter which way you choose to cook them, there are some things you must do first. The first thing that you need to do is shell them. This means that you must take off the heads, as this can really mess up your stomach. You must also take off the legs. Then you must cut a slit lengthwise down the center of it so that you can get the veins out. There is junk in them that can actually make you sick. Once you do this, you can cook them any way that you would like. People who love salmon know that it’s the best fish on earth. Nothing beats its voluptuous, silky, fatty texture, or how many ways it can be prepared without losing its fundamental salmon character. Learning how to cook salmon is a rewarding and delightful experience and is sure to enhance your cooking abilities immensely. Here’s how to cook Salmon in a simple, delicious way called “Thai Style”.